Where Land & Sea Collide, Where untamed Beauty Abound. Welcome to unforgettable experiences. Ardara is a place of colour & contrast, where the purple heather-coloured hills cascade to miles of sandy beaches, where lush green meadows meet the crashing blue waves of the Atlantic ocean. Nestled in a valley surrounded by spectacular scenery along Donegal’s Wild Atlantic Way, Ardara, renowned for its friendly and homely atmosphere, is an ideal place to relax after a day exploring all that Donegal has to offer. 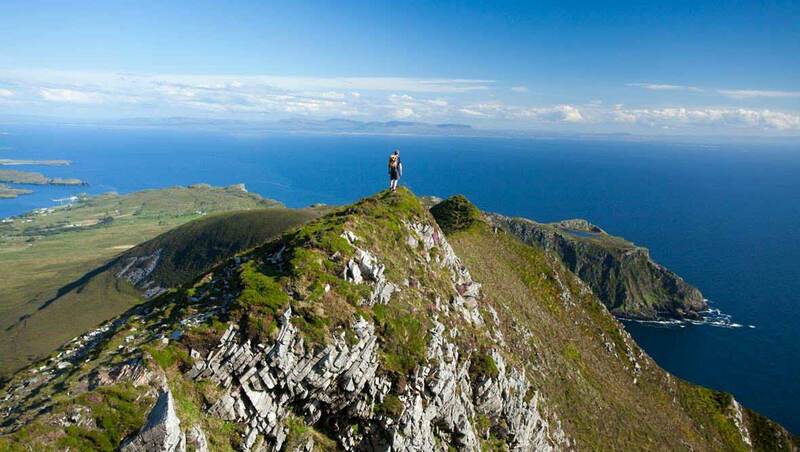 The location is perfect for a base as it is within an hour’s drive of breathtaking scenery such as Slieve League (amongst the highest cliffs in Europe), Glengesh Pass, the Bluestack Mountains, and miles and miles of rugged Atlantic coastline. 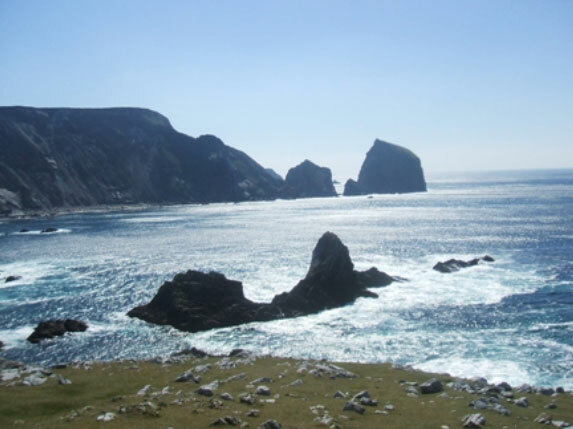 The Ardara area encompasses the beautiful blue flag beach of Narin, Maghera Beach and its amazing Sea Caves, Loughros Point and its stunning coastline and the beauty of Rosbeg, to name but a few of the areas coastal regions. Idyllic views from the stunning Glengesh Pass, Drumbarron Hill and Inniskeel Island offer the most amateur of photographers the chance to capture something spectacular.